There was drama in Webuye town on Saturday after faithfuls from Temple of God church descended on the county hospital’s mortuary to resurrect the dead. Led by self-proclaimed prophet Daniel Wechuli, five members of the church claimed they had been sent by the holy spirit to heal the sick and resurrect the dead through prayers. “We have been moving to various hospitals praying for the sick and most of then have been healed by faith,” Wechuli said. “We are divine people who are anointed by the holy spirit to move to hospitals preaching and healing the sick without asking for any penny,” the ‘prophet added’. He revealed that God had sent him to resurrect those who had died prematurely. 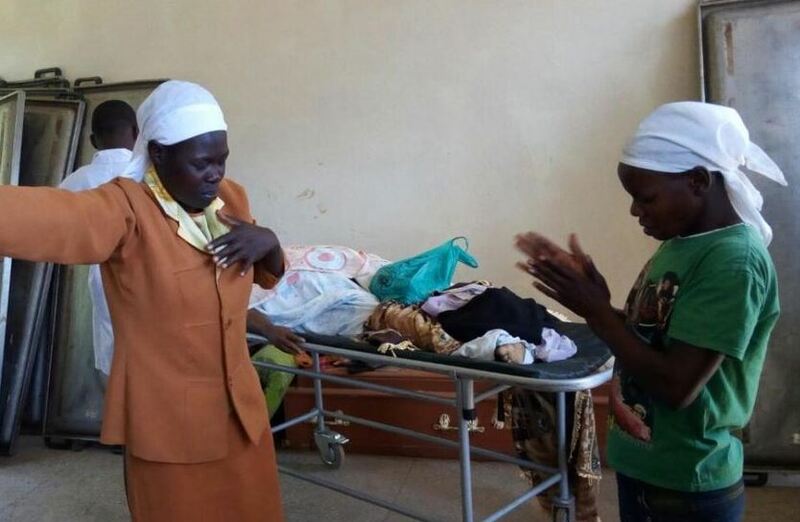 Caroline Wafula, a member of the ‘resurrection team’, said that they have been praying for the sick and people with disabilities and healing them. “We want to show people the power of God in their lives through our church that has been healing and restoring lives to God,” she said. “We have been to Malava hospital where we prayed and all the sick were healed and left the ward,” Wafula added. Suffice it to say, no one resurrected in Webuye, even as hundreds of residents jammed the facility to witness. Temple of God church is located in Mbande area, Kakamega county. Their ‘prophet’ has however been leading faithfuls to prayer ‘expeditions’ in Vihiga, Kakamega and Malava where he claims they have received overwhelming support after performing miracles.